THE BIG 'WHAT-IFs' IN GEEK HISTORY | Warped Factor - Words in the Key of Geek. "What if?" For as long as film and television have been delighting audiences, people have been asking this question - and the more geeky the audience is, the more likely they are to ask. Sometimes your favourite franchise will take an unexpected turn, miss an opportunity or change an important plot point. Sometimes a character will depart unexpectedly, or a deleted page from the script will change everything. So, for all those who've ever wondered about such things, here are some of the most notorious and intriguing "what-ifs" in the history of geek culture. What if... Christopher Eccleston hadn't left Doctor Who in 2005? Ah, the Ninth Doctor, we hardly knew ye. 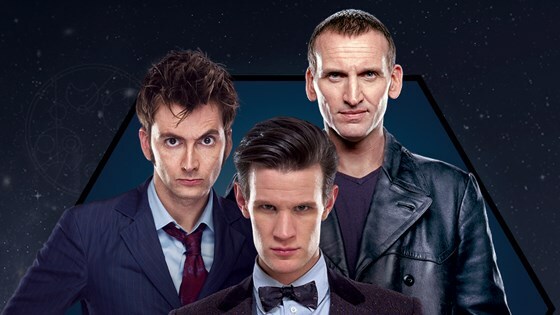 Departing the newly re-launched Doctor Who after just 13 episodes and less than 3 months at the helm, Christopher Eccleston's presence in Doctor Who has been one of the perennial "what-ifs" of the new series since his departure. Of course, it's safe to say that his replacement, David Tennant, went down quite well with the audience, but how might things have changed if Eccleston had stuck around? Well, those who think Series 2 would have had a whole bunch of different stories to suit Eccleston's Doctor are in for a surprise - two of Series 2's most well-loved episodes, nostalgia-fest "School Reunion" and early Moffat classic "The Girl in the Fireplace" were explicitly written for Eccleston, who would have gotten to dash about with Sarah Jane and cop off with Madame de Pompadour. Most tantalisingly of all, Eccleston would have appeared in "The Satan Pit", the darkest episode of all up to that point. And of course, if he hadn't gone sour on the show so quickly, there's every chance he would have returned for "The Day of the Doctor" in what he revealed was a minor role in the story alongside Tennant, Smith and Hurt. Eccleston fans can take some small comfort in the fact that his series is to this day one of the most well-loved and revered years of the show, but it's hard not to wonder about what could have been for the Ninth. 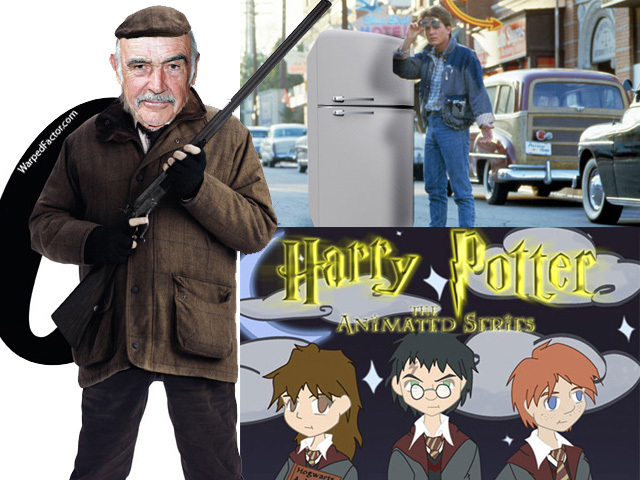 What if... Steven Spielberg had directed Harry Potter and the Philosopher's Stone? Early on in the genesis of the Harry Potter film franchise, Warner Bros. sought a big-name director to launch the series. They plumped for the legendary Spielberg and at one point the Jaws and E.T. director looked set to jump on board. However, Spielberg and J.K. Rowling had a few major disagreements early on in the planning stages, most famously regarding casting. Spielberg favoured The Sixth Sense star Haley Joel Osment for the role of Harry, which Rowling immediately vetoed, and she consequently introduced a stipulation that all cast members be British. Spielberg's idea of making an animated Philosopher's Stone was also strongly rejected, and consequently Spielberg departed the project. 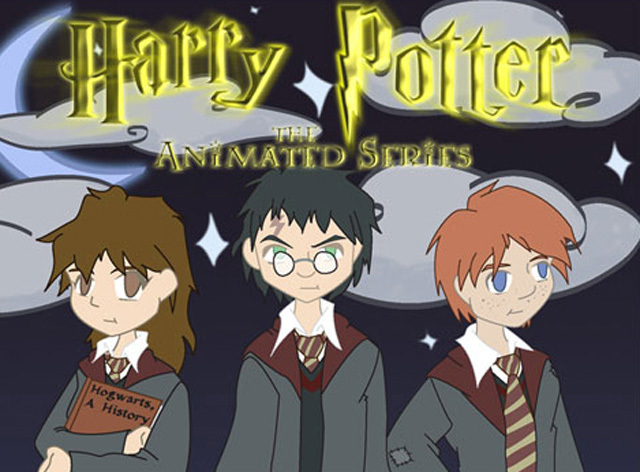 So, for those who wish we'd had an animated Hogwarts led by that kid who says "I see dead people", bad luck. For everyone else, we may have somewhat dodged a bullet here. 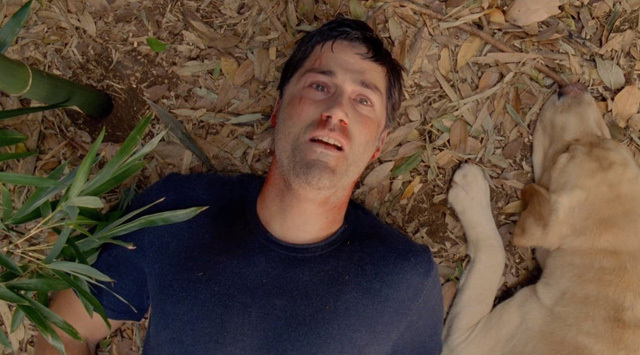 What if... Jack had died in the first episode of Lost? Remember the pilot who died in the first episode of Lost? That was supposed to be Jack. Yes, right up until the casting stages, Jack was slated to die in the final scene of the first episode, as a shock twist. Michael Keaton was set to take the role, but when it was decided to make the role of Jack the lead character for real, Keaton backed out. But how would the show have gone without Jack? Well, our lead protagonist would have been Evangeline Lilly's Kate Austen, who bizarrely would have had a completely different back-story in which her husband had been lost in the tail-end of the plane (sound familiar?). None of this was to transpire, however, and in no time Matthew Fox was cast as Jack, the character of Kate was re-tooled, and her sad back-story was given to Rose. Certainly one of the weirder entries on the list. What if... Heath Ledger was still alive during production of The Dark Knight Rises? 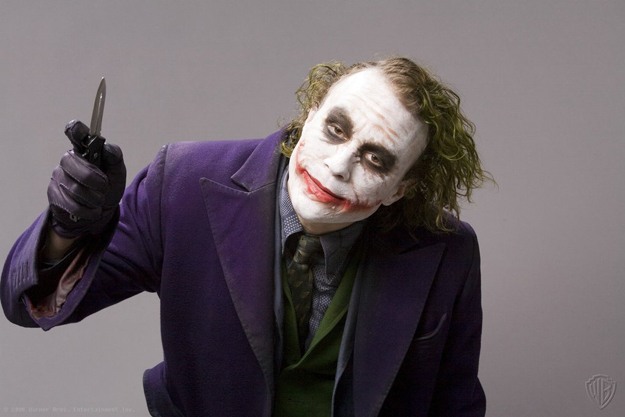 In 2008, Heath Ledger tragically passed away, shortly after completing his role as the Joker in The Dark Knight. Ledger's extraordinary performance went on to win him a posthumous Oscar, with almost everyone agreeing that he stole the film and gave one of the most memorable performances in comic-book-movie history. Unfortunately, the Joker's story is left hanging (quite literally) in The Dark Knight and we never hear from him again, for obvious reasons. But would he have appeared in The Dark Knight Rises, had Ledger been alive? The short answer is "no one knows". In truth, Christopher Nolan wasn't even sure he wanted to do a third film at all when Ledger died, and didn't have even the notion of a story in mind. However, given the massive popularity of Ledger's Joker, it's hard to believe that the character wouldn't have played a huge role in an alternate third film. One thing we can say with near-certainty is that The Dark Knight Rises would have been drastically different, but to what extent, we'll never know. 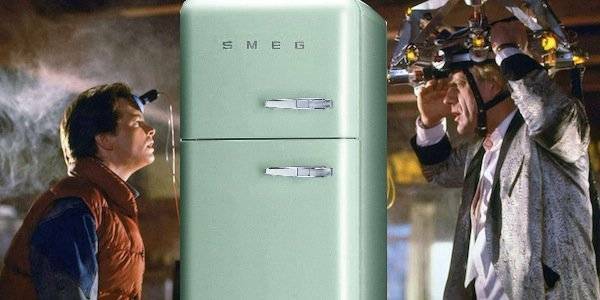 What if... the DeLorean in Back to the Future was a refrigerator? Yes, this really was the original plan for Back to the Future's iconic time machine. In the earliest drafts of the script, Doc Brown would have built his flux capacitor into an everyday refrigerator, then taken back into 1955 by Marty. The Lorraine/George romance story would have followed much the same, but Biff would have been a corrupt cop investigating Marty's fridge (I know). Eventually, Marty would have returned to 1985 by piloting the fridge into a nuclear blast! Thankfully, Bob Gale and Robert Zemeckis realised the absurdity of the film's plot, not to mention that it was turning into a mega-budget action epic, what with the nuclear finale. They therefore decided to start from scratch and embrace the limited budget of the film by writing a deliberately "small" story involving a lightning strike in a quiet town. And as for the time machine, they decided to use one of those crappy old DeLorean cars instead. And thus Back to the Future turned from a weird, generic 80s action flick into the quirky, hilarious adventure we all know and love. Good work, team. 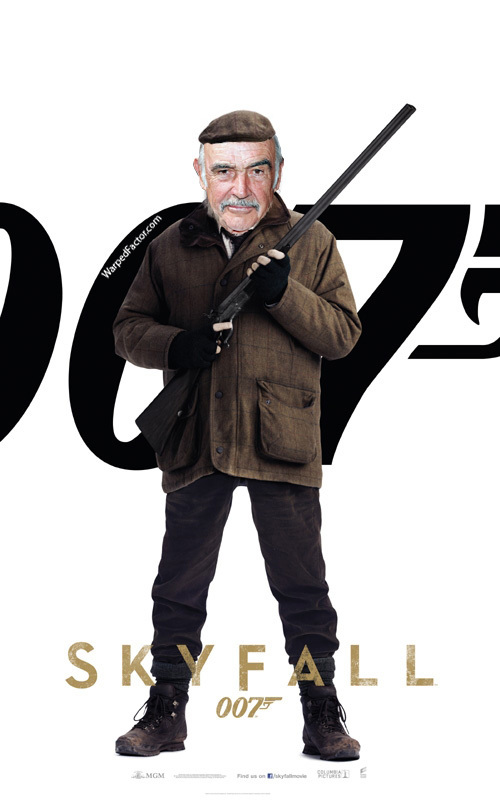 What if... Sean Connery had appeared in Skyfall? Most viewers who saw Skyfall will remember the character of Kincade, the no-nonsense, wise-cracking old man who was the former guardian of James Bond, and who enters full-on action mode for the film's final showdown. Albert Finney did a brilliant job with the character, of course, but astonishingly, this role was originally meant for none other than Sean Connery himself, the original "Jameshh Borrnd". The script would have been much the same, so you can imagine for yourself how it would have worked, but the really alarming thing about this is that it may have gone some way to confirming the "code name" theory that's always been such a talking point of the Bond fanbase, by having Connery appear alive and well but retired, taking a different Bond under his wing. Sure, the character is called Kincade, but it's no stretch of the imagination that most viewers would have seen the character as Connery's Bond, back for one night only. Whether or not this would have been a wise idea is... something I'll leave for the comment section. But having Connery back would have been awesome, surely? Wouldn't it? 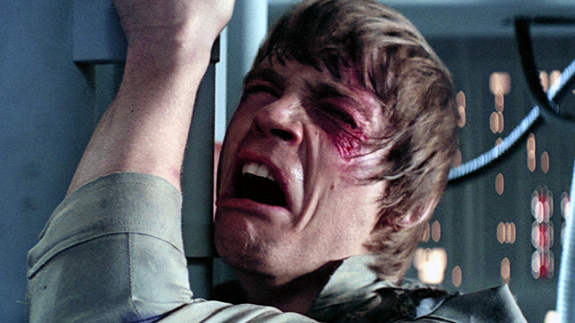 What if... Darth Vader wasn't Luke's father in Star Wars? And we finish with perhaps the biggest "what-if" of them all - what if there was no "I am your father" moment in The Empire Strikes Back, and Vader was just a very cool villain who previously killed Luke's father? Well, where to start? First of all, although George Lucas will go to his grave swearing otherwise, recent investigations including J.W. Rinzler's fantastic book, The Making of Star Wars, confirm that Vader was definitely not originally intended as Luke's father. In A New Hope, Vader is explicitly not supposed to be Luke's father - the idea first came up in the second draft of The Empire Strikes Back. But how would the Star Wars franchise have been different from that point on? Well, for starters, Return of the Jedi would have had a serious re-write, with none of the father-son drama that made its climax so memorable. The prequel trilogy would have told an entirely different story and realistically, would likely not have been made at all without the mystery of "how did Luke's dad become Vader?". In short, one could argue that the sustained success of Star Wars owes a hell of a lot to this little plot twist. So just remember when you're watching A New Hope, guys, Vader did kill Anakin, but "from a certain point of view". Yeah right, Obi-Wan, you're not fooling anyone.